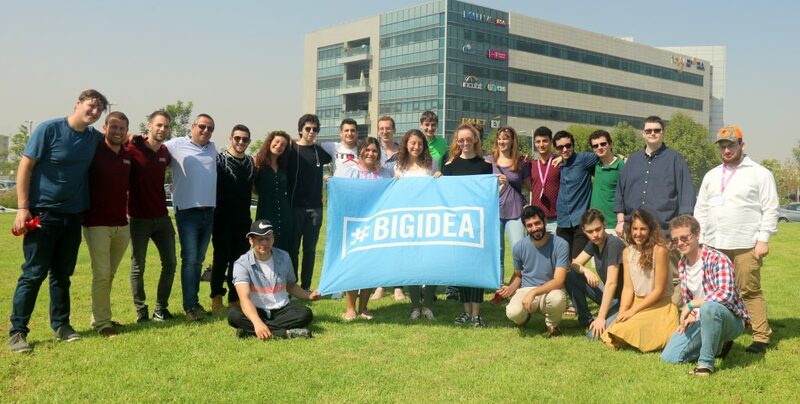 BIG IDEA Gap Year is an in-depth program for high school graduates who seek to combine hi-tech training and internship with an exciting experience in Israel. Take a year in Israel to invest in yourself: Acquire new expertise, develop your networking skills and travel all over the country with incredible people from all over the world. Hi-Tech boot camps – App Development or Graphic Design. Internships at innovative startup companies. Network and meet interesting people from all over the world. Making an impact in real people’s lives with digital solutions. Learn Hebrew and earn college credits. Become more Israeli – Explore the country and culture. "After this gap year in Israel is over, I'll go back to the US with a year of maturity over everyone else and with tech skills and 2nd language that non of my peers are going to have"
These are the participants who are currently on their Israel gap year experience. They are smart, ambitious, and awesome. They travel to Israel from 5 different countries: USA, Canada, UK, South Africa & Australia! They are having a great time participating in a unique Hi-Tech training course, Hebrew Ulpan, and trips all over Israel. Each and every one of them is starting their journey of making an impact on our world, through technology. Click Here to follow their adventure!